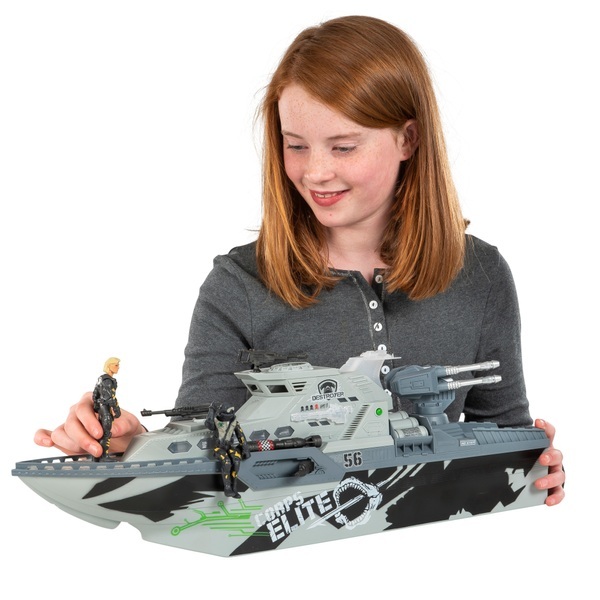 Children will love battling it out with this Corps Elite Battle Cruiser Counterstrike Launch Carrier. It can hold up to 6 figures and vehicles. (Each sold separately) This Battle Cruiser has a hinged cannon, a detachable torpedo and pivoting dual guns.